There is an old song that contains the lyrics, *"Don't throw the past away, you might need it some rainy day, Dreams can come true again, When everything old is new again." These lyrics accurately apply to one of the most accomplished and successful vocal groups of all time. 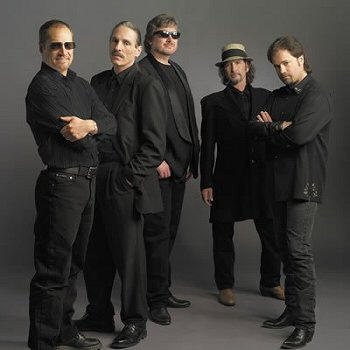 In one brief decade that began in the late 80's and ended in the mid 90's, Restless Heart earned three gold albums, had seven singles in a row go to number one on the charts, received twelve Grammy, CMA, ACM nominations and were named ACM's Vocal Group of the Year (1990) which gave them a solid following on both country and adult contemporary radio. Their exceptional vocal harmonies, delivered with flawless perfection, led to a string of hits that included "Bluest Eyes in Texas," "I'll Still Be Loving You," "That Rock Won't Roll," and "Why Does It Have to Be (Wrong or Right)." Disbanding the way they did -- irreconcilable differences -- left them without closure and, lucky for their fans, has led them to a reunion that resulted in their new album; Still Restless. The award winning band, with all five original members (Paul Gregg, Dave Innis, John Dittrich, Greg Jennings, Larry Stewart), is back together and sounding better than ever. In "What We Know Now," the autobiographical final cut on this album, they sing “We were reckless, young and proud. We had the whole thing figured out. We never saw the writing on the wall. Even though we thought we knew it all. Oh my friend, if we knew then what we know now.” After the very first listen through of this album you will have no doubt that, with the passing of time, they have deciphered the writing on the wall and the best part is that they do know now what they didn't know then. On Still Restless, they demonstrate that they haven't lost any of the talent that took them to the top of the charts. Their vocal harmonies are so tight you wouldn't be able to get a laser beam between them and the song selection reflects their growth as artists and as individuals. The album is co-produced by Kyle Lenning and Mac McAnally, whose producing credits include Randy Travis and Jimmy Buffett. Their influence on this project was like icing on an already perfect cake; all the wonderful ingredients remained the same, they just enhanced the presentation. The end result is a delicious treat that is sure to satisfy the appetite of music lovers, regardless of the genre. It was impossible to pick a favorite tune from this album because the song selection is so diverse and each of the eleven songs has something uniquely appealing. From the first strains of "Feel My Way to You," through nine more first-rate songs (including their enjoyable cover of The Beatles classic "The Night Before") to the final fade out on the poignant "What We Know Now," you'll be enjoyably entertained and thankful that Restless Heart is Still Restless. *Lyrics from "When Everything Old is New Again"